Ever wanted to mount your PC components to the wall, like some sort of souped-up game-powering fuse box? Then Lian Li's new O Series is for you. The four models are relatively similar in design, despite their different form factors. 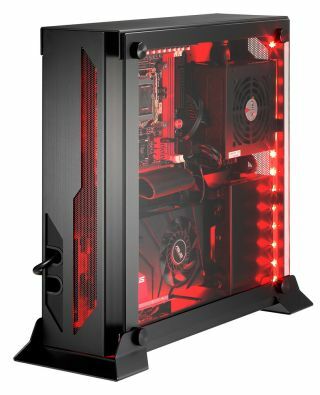 All four maintain a slim build by installing graphics cards parallel to the motherboard via a PCI riser card and extension, and they all feature an oversized tempered glass window to easily view all the pretty components inside. You are hanging it on your wall, after all. The bizarre hybrid of wall art and PC enclosure doesn't come cheap, though. The O Series is expected to launch in the US in February starting at $289.